Of all the issues currently dividing members of the church today, none is so divisive as the question of whether or not Thomas Monson is a true prophet, seer, and revelator. To many, the answer is obvious: Of course he is. He's president of the Church, isn't he? That makes him a prophet. Joseph Smith, the first president of the Church, was a prophet; therefore everyone who followed him in that office holds all the keys along with all the gifts Joseph possessed. The president of the Church is a prophet, plain and simple. End of discussion. But a growing number of faithful latter-day Saints are asking what I think is a very pertinent question: if the president of the Church is a prophet, a seer, and a revelator the same as Joseph Smith was, shouldn't he at least exhibit some of the gifts our founding prophet exhibited? Shouldn't we see the current prophet deliver a bona fide prophecy now and then? If he is a seer, shouldn't he exhibit the ability to translate ancient records? And if he is a revelator, why in heaven's name does he never seem to receive and convey revelations in the voice of the Lord, the way Joseph Smith did almost on a weekly basis? I've been studying this controversy for some time now, and I believe I've found the answer to this dilemma. As it turns out, it is entirely possible that the current president of the Church, Thomas S. Monson, can in fact be the prophet, seer, and revelator for the Church even without displaying the requisite spiritual gifts you'd think we should expect from one holding the keys to that office. And if you'll stick with me I'll show you why that is. But first, a little background. It might seem I'm contradicting myself as we go along, but bear with me. What Exactly Is A Prophet, Seer, and Revelator? That last qualification is one that I feel cannot be stressed enough, because I hear some members who are convinced the president receives revelations from God all the time, but he keeps those revelations to himself. I wonder what these people think the role of a prophet is? Is it not his job is to receive the message God wants his people to hear, and then to convey that message to the people? What else is a prophet good for, if not to repeat God's message to the people word-for-word? Joseph Said "if we do not get revelations, we do not have the oracles [Communications] of God, and if they have not the oracles of God, they are not the people of God." Joseph was given lots of knowledge from God that the people were unable to accept. But not once did Joseph Smith ever receive an oracle from the mouth of God that he was told to convey, and then decide not to share it with the church. Not once did he show up at conference and summarize the Lord's intended message in his own words. Not once. He repeated every revelation he was given to convey just as he received it. 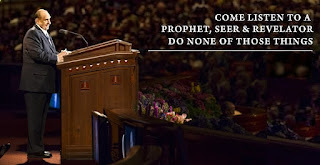 This idea I hear now and then that the prophet is giving us God's messages in conference, but he's just putting it in his own words, is foolishness. That is not the way God reveals his oracles. – Joseph Smith wrote his revelations down, or had them written down. – Joseph Smith received revelations sometimes with and sometimes without an external aid such as an angel or seer stone. – Joseph Smith taught that a newer revelation will not contradict a previous revelation. – is communication from God. – reveals previously unknown information. – comes from the Spirit. – is given directly to the mind or through an external source. – comes through one appointed. – is given in the first person as the Lord spoke it. – is written down and published. – will not contradict a previous revelation. So, When Did Everything Change? Actually, everything changed upon the death of Joseph Smith. We have never had a true prophet, seer, and revelator on the earth in the model of Joseph Smith since that June day in 1844 when Joseph and Hyrum Smith were taken up to the Lord. If we would read our scriptures we would know exactly why that is, because the Lord told us why. It's in his revelations. Interestingly, most members of the church in those days were well aware that the last true prophet of this dispensation would not be replaced by another. This idea we have that an unbroken line of prophets, seers, and revelators continued through Brigham Young, and on up to our own time, is a relatively new doctrine, invented in the 20th century to convince the Saints there has been an unbroken line of authority through which the leaders were given claim over the church. The narrative I was taught growing up in the church was that following the death of Joseph Smith, the Lord chose Brigham Young to lead the Church. Not so. That is revisionist history, with no grounding in fact. It was actually widely believed at the time by everyone (including Brigham Young) that Joseph Smith's oldest son was destined to take the reins. Only thing was, Joseph the Third was only eleven years old when his father was killed, so the debate between Brigham Young and Sidney Rigdon centered largely on who should be the caretaker of the Church until the boy came of age. Rigdon argued that the duty fell upon him as the surviving member of the First Presidency. Brigham counter-argued that with the death of Joseph and Hyrum, the First Presidency was effectively dissolved. And besides, Sidney Rigdon, ailing and possibly addlepated from concussions to the head, was a poor choice to preside over the Church during this time of great crisis. Brigham proposed that rather than the government be in the hands of just one man, the members would be better served if the Church were governed by the Quorum of the Twelve Apostles, who would make governing decisions as a body. What Brigham did not do was suggest that he should be the one to lead the church as prophet, seer, and revelator -or even as the president of the Church. It is very doubtful the people would have voted for his plan if he had. But three years later, at Winter Quarters, Brigham got to thinking maybe a presidency was just the thing that was needed after all, and so he campaigned for the position and was elected president of the Church, with his cousin and his best friend as his councilors. Neither Brigham nor his councilors was ever called of God, and never ordained to their positions. It was an election by the voice of the people. That's all it was. "Those three revelations of condemnation were just a few of many chastisements that the saints had received prior to migrating to Nauvoo. In Nauvoo, they were given the opportunity to repent and reform, but rejected the opportunity. Their failure to repent, have the fulness of the priesthood restored to them, and complete the Lord's House resulted in being rejected by God, as a church, with their dead. Ultimately, they had to flee from Nauvoo just as they had fled from Jackson, Kirtland, and Far West." Many of the Utah pioneers understood they had been cursed, and willingly took their lumps. Others remained oblivious, and felt they were still God's chosen people. Time passed, people died, new converts arrived from Scandinavia and the British Isles who knew nothing about God's former judgments, and eventually the true history got glossed over and forgotten. The Saint's cursings at the hands of the Lord came to be celebrated every July 24th as though they were tests of adversity their ancestors had overcome which eventually morphed into blessings for their descendants. Three months before his death, Brigham Young's self-aggrandizing behavior had gotten so out of control, he was turning into Donald Trump. He claimed Joseph once told him that if he, Joseph, "was out of the way, you are the only man living on this earth that can counsel and direct the affairs of the kingdom of God on the earth." That lasted three years until John Taylor, president of the quorum, decided he'd just as soon be president of the whole Church himself like Brigham had. So it was back in the frying pan. There were quite a few years there where the quorum couldn't decide exactly how they would select the next president of the Church. I always thought God had decided that issue through revelation, but I thought wrong. There has never been any revelation from God on the matter. All the members of the quorum really knew was they didn't want George Q. Cannon to be president, so eventually they settled on the method we have today. The guy who's been waiting the longest gets to be the chief. One thing we do know: in modern times you don't have to commune with the Lord in order to be called a prophet. "I know of no instance where the Lord has appeared to an individual since His appearance to the Prophet Joseph Smith," President Heber J. Grant wrote in a letter in 1926. He doesn't say why that was, but one assumes the Lord never appeared to Heber either. During the administration of David O. McKay, things started to form into the pattern we have now, with the president of the Church elevated to super-celebrity status. I don't know how the practice got started, but at some point whenever President McKay would enter the tabernacle at the start of conference, the congregation would spontaneously burst into singing "We Thank Thee O God For A Prophet." That hymn had been written in honor of Joseph Smith, and heretofore was never sung as praise to any other man. But six decades later it has become the official anthem to honor the president of the Church whenever he is spotted in public -our own special version of "Hail To The Chief." And so today whenever a president of the church makes a personal appearance anywhere, it is all but required for the crowd to stand and burst into song and wave white handkerchiefs in tribute and celebration of him. We should ask ourselves this question: if no one sang a rousing, cheering anthem when Joseph Smith walked into a room, why in hell are we doing that for anyone else? By the mid-twentieth century, our missionary lessons started off with a recitation of Joseph Smith's first vision, and the point the missionaries brought home to the investigator was this: ever since that day in 1820, the Lord has had a prophet on the earth to guide us and teach us his will. Well. I realized much later that wasn't really the big takeaway from the first vision at all. If Joseph learned anything from that glorious encounter, it was 1). If you have a question for God, you can take it straight to Him; you don't have to go through any ecclesiastical middlemen; and 2). Churches tend to get full of themselves. They draw close to Christ with their lips, but work to convince their members to look to the Church for answers instead of to the Lord. But never mind. On my own mission I faithfully taught what I was told, which was actually counter to the real lessons of Joseph's experience. It's the same lesson missionaries teach today: Once you get a testimony that Joseph Smith was a prophet, that proves Thomas Monson is a prophet, too. Don't worry about the lack of logic in that assumption. Just have faith. I promised at the beginning of this piece I would prove how it is that Thomas Monson can be rightfully called a prophet, seer, and revelator, even though he never prophecies, never translates, and never receives revelations. And the way we find this out is by examining certain things that were said by Monson's predecessor, Gordon B. Hinckley. You've heard of The Teachings of the Presidents of the Church? Well, Gordon Hinckley had some things to teach those who have ears to hear and eyes to see. And oddly enough, when he taught these things, he was not talking to us members, but to the world at large. In the course of the show Mr. King asked me point-blank, "What is your role? You're the leader of a major religion. What's your role?" As I went down that list, it occurred to me that every single one of the roles President Hinckley claimed made him special could have applied to me as a missionary. Heck, they could have applied to me as a faithful representative of the church from my high school days forward. Stand as an example? Check. Lead? Well okay, I've never really been much of a leader. So I'll give that one to Hinckley. But you get my drift. Now granted, it's possible Larry King might have caught our president off guard, and so Hinckley may have had to come up with some general statements off the top of his head. That could explain why they sound so platitudinous and uninspired. But remember, Hinckley is retelling this account after the fact. In reviewing his answers for the members, he had a chance to add, improve, and expound on them for the Ensign article, but he didn't. He let the words lie there as-is, almost boasting about how well he responded to Larry King's questions. 1. I am God's Living Prophet to the whole world. 2. I am God's special Seer. 3. I receive revelations directly from God and I convey those messages to the world. Let's look at this another way. Suppose you, just some average LDS guy or gal, found yourself as a guest on the Larry King show in 1998, and Larry had asked you "You're a Mormon. Tell me, what is the role of the president of your church?" Wouldn't you instantly answer "He is a prophet, seer, and revelator"? So why do you suppose the freakin' president of the church himself forgot to mention those important details?! Aren't we constantly being told that being a prophet, seer, and revelator is the president's primary function? And isn't Hinckley's failure to mention that function as one of his "roles" the biggest, baddest, most glaringly obvious omission in the history of broadcast television? Consider this: could it be that Gordon Hinckley somehow knew he really didn't have those abilities? Is it possible he was missing that particular skill set, and he knew it? Before you answer, please take a look at Exhibit B. This is the last one, I promise. Exhibit B is from Gordon Hinckley's press interview with Don Lattin, Religion Editor of the San Francisco Chronicle, conducted the year before the botched TV interview with Larry King. Now, you may well ask, "Hey Rock!" (Whuuut?) "If this is all about proving Thomas Monson has a legitimate claim to be called Prophet, Seer, and Revelator, why are you showing examples involving Gordon B. Hinckley?" The answer is simple. Hinckley is the guy who gave all the media interviews. Like me, he couldn't bring himself to walk away from an open mike. And unlike me, he was very, very good at giving interviews. And when I say he botched the interview with Larry King, I only mean he didn't give the answer any of us Mormons expected to hear. From a public relations standpoint, the interview was a flawless success. Gordon B. Hinckley was a master at PR. His friendly, avuncular personality completely disarmed everyone who might try to corner him with a hard question or embarrassing accusation. I recall sitting in front of the television during Hinckley's 60 Minutes interview and cheering at the way he owned Mike Wallace. There was not an awkward question anyone could possibly lob at him that he couldn't masterfully deflect. If the question was something potentially embarrassing about our past or current practices, Hinckley simply smiled and dismissed the matter as not really relevant to the church today, deftly changing the subject to something he would prefer to focus on, such as the phenomenal growth the church was now experiencing. Interrogated about some deeper doctrine he didn't want to get into, he would say, "I've heard of that, but I don't really know much about it. I don't know that we teach it" and then steer the questioner in another direction. Hinckley came off as likable, affable, and completely lacking in guile. He may have had only a Seminary level grasp of LDS doctrine, but he sure knew how to gussy up the Church's standing with the media. He was the right guy, with the right face, and the right demeanor to represent us to the world. Gordon Hinckley probably did more good for the image of the church than any president since David O. Mckay. As you'll soon see, the reason I discovered how Gordon Hinckley was able to lay claim to the title of Prophet, Seer, and revelator is the same reason Thomas Monson can make the claim today, and the reason Monson's successor (likely Russell Nelson) will be able to own that title tomorrow. They've pretty much exhausted that topic in four lines. Before they move on to other things, Hinckley is asked how the revelation process actually works. And since he doesn't care to mention he has never received one, he minimizes the need for further revelation because, like, you know, we've already got plenty of those left over from Joseph Smith. Here comes the deflection: "We don't need much revelation," Hinckley says, "We need to pay more attention to the revelation we've already received." True enough. We do need to pay more attention to what we've already received. But what about you, Gordon Hinckley? If you are a prophet, seer, and revelator sent by God to call the whole world to repentance, shouldn't you be shouting that fact from the rooftops? Shouldn't you boldly "declare the doctrine" you were called and ordained and anointed by God to declare? Well, no. There's no need for that. Because you're really not qualified. Because just like Brigham Young, John Taylor, Wilford Woodruff, and all the so-called "prophets" that came before him, Gordon Hinckley was never ordained to that calling by the Lord. In that short little answer "I am so sustained," Hinckley has admitted he holds the title of Prophet, Seer, and Revelator not because God called him to fulfill that sacred role, but because he was elected to it by the membership of the church. He is a prophet, seer, and revelator only because the members of the church who elected him president say he is also a prophet, seer, and revelator as well. The voters affirmed it. That makes it official. The key to everything is right there in that four word answer to Don Lattin's question that asked "are you a prophet, seer, and revelator"? And here's something I find very curious: why does the text of the interview show Hinckley laughing as he drops that bombshell? Question: You are the president, prophet, seer and revelator of the Mormon Church? Appointed, Anointed, Ordained, Sustained, Or Set Apart? Think back to the last conference session when Dieter Uchtdorf called for a sustaining vote on President Monson. Did he tell the congregation that God had called and ordained Thomas S. Monson to be the prophet, seer, and revelator and then ask the members to sustain that ordination? Or did he simply call for a vote from the members to sustain a proposal? "It is proposed we sustain Thomas S. Monson as President of the Church of Jesus Christ of Latter-day Saints." The members raised their right hands, and the proposal was sustained. Good. We have again given our common consent to have Thomas Monson remain in office as president of the Church. After that sustaining, Uchtdorf says, "It is further proposed we sustain President Thomas S. Monson as prophet, seer, and revelator." Everyone (well, nearly everyone) raises their right hand and endorses the previous vote they made when they first elected Monson to that office back in 2008. This process is repeated in stake conferences all around the world, so that legally the Church can say that the voting members overwhelmingly have declared that the man they elected to be president of their church can also lay claim to the title of Prophet, Seer, and Revelator. That's how we know he is one. Because we voted to give him that title. But how can this be? Doesn't God have to have some say in any of this? Not only will God allow the people to deceive themselves, he'll allow the prophets to deceive themselves too, and allow the prophets to deceive the people, if that's what the people want. Joseph Smith told the latter-day Saints they were already darkened in their minds for depending too much on the prophet. How much more darkened do you suppose our minds have become, after a hundred and seventy additional years of convincing ourselves that men who never once in their lives ever spoke one prophecy or translated one record, or delivered so much as one tiny revelation are in fact, and in deed, and in word, actual, living Prophets, Seers, and Revelators? I'd say that tells us our minds are not just darkened; they're pretty far gone. Here's something to think about. The current crop of usurpers in the Church hierarchy will tell you their line of authority goes all the way back to Joseph Smith, because every one of the presidents was ordained of God same as Joseph Smith was. Okay, fine. We can actually trace the ordination of Joseph Smith, because he was personally called and ordained by God to the work in D&C 5:6. But after Joseph, the historical record shows us that line of ordinations abruptly stopped, and does not resume until 1951, at which time George Albert Smith did not pass on his authority to the next president, because he was already dead. Instead a member of the Quorum of the Twelve, who did not have the keys of a prophet, seer, and revelator, performed the ordination of David McKay. Even if said apostle did somehow hold the keys and pass them on, wouldn't it be a stretch for the current leaders to claim they have a continuous, unbroken line of authority going back to Joseph Smith? If Brigham Young had no authority to act as prophet, seer, and revelator, where did Thomas Monson get his? Most members of the church are under the impression that our modern prophets are ordained directly and in person by God as Joseph Smith was. Certainly Church leadership does nothing to dissuade us in that belief. Every Conference session we watch as a parade of sycophantic general authorities goes up to the podium and heaps praise upon the current president, encouraging the people to follow his wise counsel if they wish to be saved in the eternities beyond. And Monson just sits there behind them soaking it all in. Here's what I want to know: why doesn't Monson himself put a stop to all this obsequious fawning? He's sitting right there! Why doesn't he ever say anything? Just once I would like to see Monson stand up in the middle of one of Russell Nelson's endless brown-nosing love fests, take the microphone away, and shout "Enough! Let's take our focus off ourselves for once and get back to remembering that our salvation lies in Jesus Christ, and not in the leaders of any church." But that isn't likely to happen. There is too much at stake. Because the truth is, whoever is the president of the LDS Church has more power and wealth at his command than you can possibly imagine. Ever since the Church was reorganized in 1923 under corporate charter putting physical ownership of everything in the hands of the president of the corporation, the president of the Church is the Church. And that's no exaggeration. It is a legally recognized reality. It's called the Corporation of the President because it all belongs to him. Every temple, every chapel, every university campus, every shopping center, every condo, and every high-rise office building; they are all his personal property. If the president was inclined to, he could lock us all out of our own chapels, sell them off, and keep all the money for himself. It would be his legal right. That's a lot of power to be entrusted in only one man. He doesn't need your sustaining vote, because he owns it all anyway. There are currently 15 million members of the Church worldwide, but only an estimated 4.5 million of those members ever show up to stake conference for the vote to sustain or oppose the president. The other two thirds church members whose names are on the roles are long gone. They've already voted to oppose giving one man all that power. They voted with their feet. Our president doesn't have anything near a majority vote, but why should he care? The inactives aren't posing a challenge, and the remaining active members think he's the bloody Pope. The grand title of Prophet, Seer, and Revelator is an empty label with absolutely no power and authority from heaven to back it up. But that doesn't matter. The corporate charter, that document that was drafted without any authorization or input from the members or from God, effectively cuts the members out of the deal. Ultimately their vote doesn't matter anyway. It should be self evident to anyone with eyes to see that Jesus Christ no longer directs the operations of a global conglomerate where religion is only one subsidiary among many. Our God has made it clear over and over again why He has abandoned the institution: it's because we as a church refuse to repent. We remain stuck in our pride, boasting of how incredibly lucky we are to have a prophet, seer, and revelator at our head to guide our every action. There is some good news in all of this. God may have abandoned the structrual Church for the time being, but he hasn't abandoned the individual members. 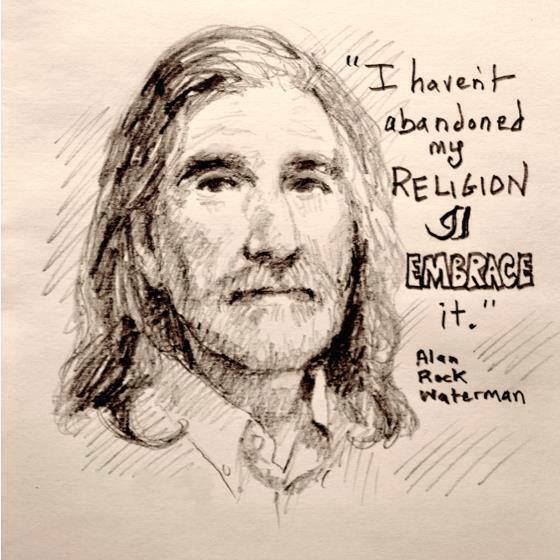 He hasn't abandoned you. You can break out of the darkness that is clouding your ability to think clearly, and choose to follow Him instead of a feckless band of corporate suits who constantly demand your obedience. All you have to do is make the choice to stop doing those things that are keeping your mind darkened, and start doing those things that will bring the light back in. In Mosiah 18:20 we learn that those who hold positions in the church of Christ are commanded to "preach nothing save it were repentance and faith on the Lord." You may have noticed that the modern Church leaders seem to spend an awful lot of time trying to convince you that you should put your faith in them. Feel free to back away from that teaching. Repent of your idolatry and put your faith in Christ alone. Act with an eye single to the glory of God and no other, and you'll be on your way in no time. And you'll be in good company. There are currently untold thousands of faithful, believing latter-day Saints who have been noticing the Church has stopped working the way it should. They are choosing to turn away from the Magisterium and placing their focus back on Christ and His gospel. Most important of all, a growing number of faithful members are learning they can plant the seeds of Zion in their own communities. They don't have to wait for instructions from Church headquarters as to where and when they should act. Last month I spoke at the Sunstone Symposium in Salt Lake about this growing phenomenon, which I refer to as "Uuncorrelated Mormonism." I've provided a link to the audio of that talk below. Some of these people have decided to leave the corporate Church behind. Others, like me, have been forcibly expelled for asserting, as the apostle Peter put it in Acts 5, that "we ought to obey God rather than men." But the greater number are finding there is no reason they can't remain members of their local LDS congregations and still worship Christ. If you are truly His, there should be no need to separate yourself from others who believe as you do. If you are His sheep, you'll know His voice. The leaders in Salt Lake City have placed themselves on a separate trajectory. They will continue to go their own way, and there is not much you can do other than resolve to remain a good Mormon without their input. For a little while they might throw fits and tantrums and threaten you with loss of privilege as they work to convince you that you still need them. Ignore them and follow Christ. I promise, you'll be fine. The Lord wants you in His church. Read again D&C 10:67-68, and do what needs to be done to remain a member of His church in good standing. All you have to do is let go of those false beliefs you grew up with, and turn instead toward the truth. It isn't hard at all. That's what it means to repent. (Here is the link to my Sunstone presentation. It may be a bit confusing if you get what looks like error messages. Ignore them. Click the link, then in the new window, click the 'play' icon, then 'Download,' then 'Download Anyway'). 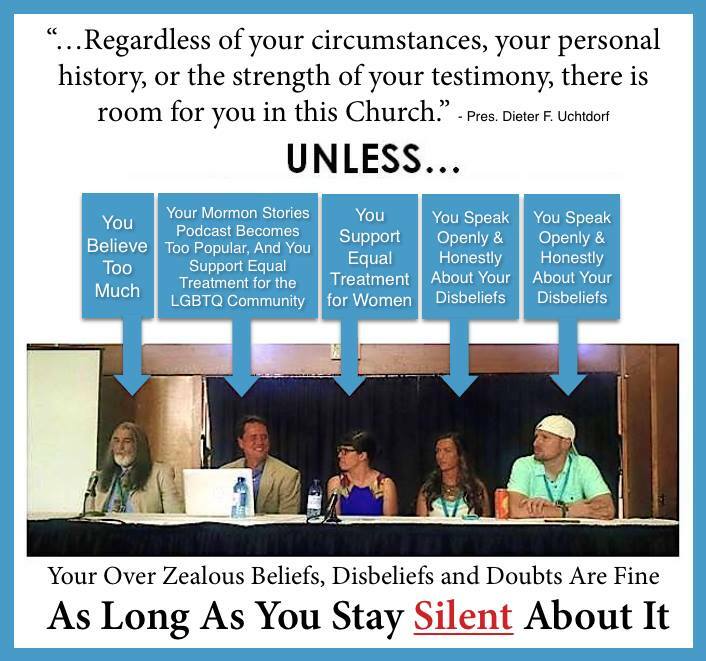 While I was participating on this panel, the real news was being made in another room, as attorneys Denver Snuffer, Daymon Smith, David Read, and Bryndis Roberts exposed the seamy underbelly of the LDS Super-corporation on the panel they chaired, "The Mormon Legal Mind." I would recommend you not miss this one. I have no link to post to, but that presentation is available for sale at the Sunstone site. Proceeds go to support the Sunstone Foundation. You can purchase audio recordings of that one, and every other presentation by clicking here. The Mormon Legal Mind is audio number 371. Order it by that number. Daymon Smith just posted a link to the transcript of his portion on his blog, Uncorrelated Mormonism. I attended several presentations that I thought would be of particular interest to readers of this blog, but for the sake of brevity I may give a rundown on them in a future post. I wanted to also mention a wonderful new website, MormonSpectrum.org, that has recently come on the scene. This internet portal has rapidly become the starting place on the web for all things related to Mormonism, in whatever iteration you choose. You can link to the Church's website from here; you can find links to news and websites covering orthodox Mormons, unorthodox Mormons, splinter group Mormons, former Mormons, all the apologetics websites, every Mormon themed blog in the bloggernacle -you name it. If there's a place on the web that has anything to do with anything in the wide spectrum of Mormonism, you'll find it by starting here. Best of all, there are lists of communities forming all over the world, so you can find others in your area who fall into whatever niche category of "Mormon" you feel fits you. It's always nice to find like-minded people, and this is the place to start building those kinds of communities. A number of people have expressed a desire to read the appeal regarding my excommunication from the LDS Church, but I felt the unwritten rules of decorum dictate that those at Church headquarters charged with reviewing the matter should have the opportunity to see the document before I make it public. It has now been 43 days since I filed the appeal, and I have yet to receive a response from Church headquarters. Given that I was originally allowed only 8 days notice before I was to appear in court to defend myself, and that I was not even informed of the charges against me until the hearing was underway, I feel 43 days is sufficient time for Church headquarters to rule on the issues. I'm therefore publishing it here for those interested in understanding the procedural and substantive issues to which I objected. It should be noted that even after the judgment of apostasy was passed on the evening of June 3rd, I was still not informed of the particular church law I had been found guilty of transgressing, though I asked repeatedly to have that or any other transgression identified for me. On June 7, 2015, I received a letter from President Hansen informing me I have been excommunicated from the church. The charge is apostasy. I am writing to appeal the decision of apostasy. However, preparing a proper response is somewhat challenging because I wasn't provided any explanation of what specific sins or transgressions on my part constituted apostasy. Not only does this make an appeal difficult to address, but it also frustrates the repentance process, as what I presumably need to change has not been identified to me. As an initial matter, I want you to know that at some point I intend to post this appeal letter on my blog at www.puremormonism.blogspot.com. I believe in being open, honest, and transparent, since the scriptures frown upon us when we "seek deep to hide [our] counsels from the Lord." I also think it's important to raise these points more broadly, as what happened to me seems to be happening more and more within the church. The Book of Mormon teaches that we are to deal with apostates (Sherem and Korihor) out in the open, so the priests may correct their errors publicly for all to see. Closed proceedings provide no value to those who are supposedly led astray by the apostate. In the last couple of years there has been a rise of disciplinary councils resulting in excommunications. This increase tends to fall into two camps. One group has become troubled by church history issues and no longer believes in the Restoration, the Book of Mormon, that Joseph Smith was a prophet, etc. Some even abandon belief in God altogether. They nonetheless pray for the leaders in their service to the Lord. They want to fellowship with the Saints and are desirous to remain in the fold of God, and to be called His people; they are willing to bear one another’s burdens, that they may be light; willing to mourn with those that mourn and comfort those that stand in need of comfort, and stand as witnesses of God. My hope is that this letter might be found persuasive and allow the Church to reflect on this current course of casting out believers and those who would want to fellowship. I realize that the an appeal of excommunication goes to the High Council of the Seat of the First Presidency, but I request that it specifically be reviewed by President Uchtdorf for reasons that will be seen below. http://salemthoughts.com/Topics/Doctrine-Errors-Excommunications.shtml (this list is out of date, and there are at least four more. I continually try to repent and come unto the Lord. While I do fail every day, I desire to fellowship with the Saints. I am dissatisfied with the decision of the council, and I request a rehearing. “Should the parties or either of them be dissatisfied with the decision of said council, they may appeal to the high council of the seat of the First Presidency of the Church, and have a re-hearing, which case shall there be conducted, according to the former pattern written, as though no such decision had been made.” D&C 102:26-27. 2) The substantive charges of apostasy are clearly erroneous. I have not apostatized. There is No Record of My Disciplinary Council. The first procedural reversible error is that there is no record of my disciplinary council. Immediately after my stake president informed me of the decision, I requested a record of the notes and minutes of the disciplinary council so I could prepare this appeal. That request has not been honored. I was not permitted to record the proceedings myself. D&C 128:4-9 explains the importance of record keeping; note verse 8. "... whatsoever you record on earth shall be recorded in heaven, and whatsoever you do not record on earth shall not be recorded in heaven..."
"... whatsoever those men did in authority, in the name of the Lord, and did it truly and faithfully, and kept a proper and faithful record of the same, it became a law on earth and in heaven, and could not be annulled, according to the decrees of the great Jehovah." If it's done with authority, it must be recorded. If my excommunication is to be recorded in heaven, a faithful record of it must be made on earth. Since there is no record of my disciplinary council, this appeal serves as the only record on earth. Verse 3 makes it clear that the proceeding itself should be recorded, and not just the decision of the council. This was not done. As such, there is no record, no evidence to support and maintain a decision of apostasy. My excommunication should be reversed on this ground alone. Discipline Was Not Conducted as the Scriptures Direct. The second reversible error is that the Disciplinary Council did not follow the disciplinary procedure as laid out in scripture. "And if thy brother or sister offend thee, thou shalt take him or her between him or her and thee alone; and if he or she confess thou shalt be reconciled. I had no accuser. No member approached me, alone, seeking reconciliation over any alleged offense that I may have caused. I am not aware of any accuser who sought such reconciliation alone, who then felt unreconciled and went to the Bishop or Stake President. The rules of the Church require that discipline begin at the local level. Here, they did not. When I first met with my Bishop, he told me that he had been tasked with delivering me an ultimatum from Elder Zachary Smith of the Seventy who told the Stake President that a disciplinary council should be conducted for me. Frankly my Bishop seemed uncomfortable delivering this ultimatum, and he told me he did not want anything to do with a disciplinary council for me. According to the message conveyed by the Seventy, I was given two options: 1. Stop blogging, 2. Resign from church voluntarily, or 3. Face excommunication. "Now, may I ask that you join the conversation by participating on the Internet to share the gospel and to explain in simple and clear terms the message of the Restoration." -Sharing the Gospel Using the Internet, by M. Russell Ballard, Ensign, July 2008. "Social media channels are global tools that can personally and positively impact large numbers of individuals and families. And I believe the time has come for us as disciples of Christ to use these inspired tools appropriately and more effectively to testify of God the Eternal Father, His plan of happiness for His children, and His Son, Jesus Christ, as the Savior of the world; to proclaim the reality of the Restoration of the gospel in the latter days; and to accomplish the Lord’s work. ... 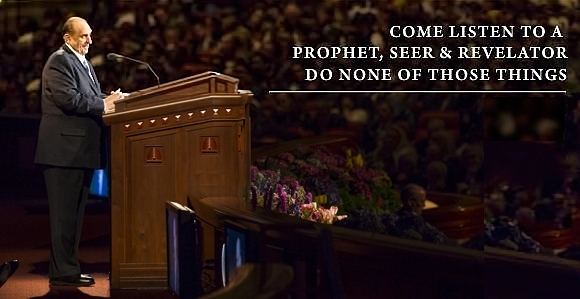 I exhort you to sweep the earth with messages filled with righteousness and truth—messages that are authentic, edifying, and praiseworthy..." -To Sweep the Earth as with a Flood," address by David A. Bednar, delivered on August 19, 2014, during Campus Education Week at Brigham Young University. I sustain Elders Ballard and Bednar in their counsel as they have encouraged believers to share their testimonies of Christ, the Father and His plan, and the Restoration. I frequently testifiy of these things on my blog. The title of my blog is Pure Mormonism. I've tried to be true to the pure doctrine of the Restoration. The Procedure of my Disciplinary Council was Inherently Unfair and Unjust. I was given little notice of the proceeding and I was given no indication of what the charge would be. I was invited to have witnesses speak on my behalf, but it's rather difficult to decide which witnesses to bring without letting me know what I was being charged against. If I were being charged with being dishonest or embezzling, I might bring different witnesses than if I were being charged with some immoral conduct. At the proceeding, I was informed I would have only forty-five minutes to respond, including witnesses. It is worth noting that trials set for misdemeanor stalking can take more than a year for trial. Civil court proceedings for relatively small matters can take days. I am allegedly on trial for the blessings of my baptism, which has eternal consequences, and I get forty-five minutes to defend myself?! This was not a just proceeding. My witnesses used up thirty minutes, so I was only left with fifteen minutes to defend myself against the charges. This was simply not enough time to address the points laid out by the State President in his accusations against me. I have to wonder: did I attend a trial, or an inquisition? A trial consists of a prosecutor who makes the case on behalf of the state (church), a defender who advocates on behalf of the accused, an impartial judge who makes sure the proceedings happen according to the law, and a jury who decides guilt or innocence. In order to maintain justice, there is a separation of duties in a trial. An inquisition is where one person is essentially the prosecutor, judge, and jury. I had no one there who defended me, and the Stake President acted as accuser, prosecutor, judge, and jury. I understand that in a world-wide church, it actually makes sense that there be some more general authority that may initiate church discipline across the world. Wards are small, and with the Internet, I may offend a member in a different continent. It makes perfect sense that the Church deal with this at a more general level. But those are not presently the rules of the church. There is scriptural support for public censure of an apostate. "And if thy brother or sister offend many, he or she shall be chastened before many. The Church's procedure may not be practical for the situations the Church must address these days. But the Church has keys and can receive revelation or simply just change the policy; but until it does, I simply ask the Church to abide its own rules. Just laws are required to be published in order to put people on notice of what the crime actually is. Just laws cannot be vague or indefinite. Members must know what constitutes breaking the law of God and what does not. Many civil jurisdictions have had a difficult time with loitering statutes. What is loitering? Is going to the park and sitting on a park bench loitering? Sometimes it might be. Sometimes it's not. Specifically whether it is or not needs to be defined by the statute, or it is indefinite or vague. The present charges of "apostasy" or "conduct unbecoming a member" are unjust; they are indefinite and vague. No member is on notice of any transgression of "apostasy." They are at the mercy of whatever a stake president decides is apostasy. Neither before the disciplinary council, nor after, did my Stake President ever articulate what transgressions I had committed that met the threshold of apostasy. Deciding whether or not my disciplinary council was just or unjust would be far simpler had the council simply followed the Church's own rules with regards to discipline. The fact that they did not, leads to only one possibility: that the proceeding itself was unjust and it must be reversed. Above I have illustrated that my local leaders committed reversible error by not following the procedures laid out in scripture and in the Church Handbook of Instruction. President Monson recently testified of the importance of abiding by the Handbook, and did so in the name of Jesus Christ. Even if I am guilty of apostasy, my excommunication should be reversed because the Church should not treat lightly whether it abides by its own rules or not. All members would be at risk of discipline that is arbitrary and capricious. I am not guilty of Apostasy. I have not turned away from God, I have not turned away from the Lord, and I have not turned away from the scriptures. The examples of apostasy in scripture consistently exemplify turning away from the Lord. I Have Not Met the Definition of Apostasy Under the Church Handbook of Instruction. "1) Repeated acts in clear, open, and deliberate public opposition to the Church or its leaders. 2) Persist in Teaching as Church doctrine information that is not Church doctrine after they have been corrected by their bishop or higher authority." 3) and 4) do not appear to be applicable here. In my first and only meetings, each with my Bishop and Stake President, each man said they were not very familiar with my blog. They never followed up by informing me of any error in my blog. My Disciplinary Council was convened one year later. 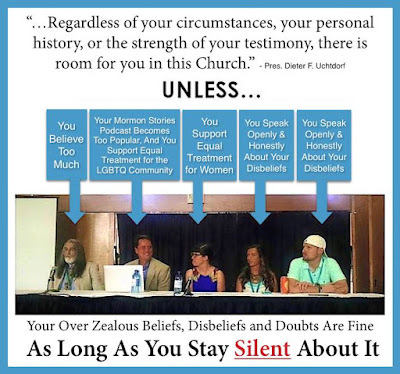 Since no doctrinal error on my blog was identified to me before the Disciplinary Council, I could not have repeatedly acted in clear, open and deliberate public opposition to the Church. Nor could I have persisted in teaching as Church Doctrine that which is not Church Doctrine, because I was never corrected before the Disciplinary Council. I have a testimony of the Restoration, including a testimony of Jesus Christ as my Savior; that Joseph Smith is a Prophet; and that the Book of Mormon is literally true. I have blogged about my testimony., I bore this testimony at the Disciplinary Council. However, the Council was not interested in that testimony. They repeatedly asked if I "sustained the brethren." I pray for the leaders of the Church to be sure. But my testimony is not based on the men holding office in the Church. "As General Authorities of the Church, we are just the same as you are, and you are just the same as we are. You have the same access to the powers of revelation for your families and for your work and for your callings as we do. "It is also true that there is an order to things in the Church. When you are called to an office, you then receive revelation that belongs to that office that would not be given to others. "No member of the Church is esteemed by the Lord as more or less than any other. It just does not work that way! Remember, He is a father—our Father. The Lord is “no respecter of persons.” -Elder Boyd K. Packer, "The Weak and Simple of the Church," Oct 2007. I sustain Elder Packer in this counsel. But the foundation, the rock of my testimony can only be Jesus Christ. The injunction to sustain our leaders is problematic because of the ambiguous nature of the phrase "sustain our leaders." Does this mean do I endorse them as a good candidate for their office? Does it mean that once ordained I pray for them and try to support them in their stewardship? Or does it mean that I will blindly do whatever they say? I cannot agree to the latter as it might cause me to violate my conscience and the Holy Ghost. If it is the former, I happily support those who are in positions of authority to fulfill their stewardship as the Spirit guides. One of the most popular and attractive philosophies of men we have in the Church is to follow some person that seems greater than yourself. If you follow that man, he will not cause you to err. I sustain Elder Corbridge in this counsel. With regards to leaders of the Church, I do believe D&C 107:91-92. I do believe that it is in fact the duty of the President of the office of the High Priesthood, President Monson, to be a seer, a revelator, a translator, and a prophet. I believe that is his duty. Whether or not he has in fact fulfilled his duty and received the spiritual gifts of seeing, revealing, translating, and prophesying, is not for me to say. The scriptures do not require me to judge the President whether he's been faithful to his duty. Nor would I want to judge anyone in the Church whether they've fulfilled their duty or not. That is between the Lord and the servant. It's just not my place to say. It may very well be that President Monson is the only one who holds all the keys for the Church. Certainly he is the only one who has authority to speak for the Church. I think President Monson is generally a good man, and I pray for his well-being. In cases for one's life, the standard of proof is "beyond a reasonable doubt." It seems that since it is my baptism and temple blessings that are at stake, no standard below that would be warranted. My excommunication should be reversed because the evidence does not support beyond a reasonable doubt that I teach false doctrine. The actual evidence shows that I do not teach false doctrine. I have received hundreds of letters from members thanking me for my blog and telling me that because of my blog they stay in the church. If people are staying in the Church because of my blog, how can that be apostasy? The Disciplinary Council committed reversible error because they gave no weight to any of this evidence. The Disciplinary Council only lasted about two hours, and it would have been impossible for them to review the evidence. Since they did not consider it, that is reasonable doubt that I am not an apostate. The "evidence" provided at the disciplinary council intended to support the accusation of apostasy does not even say what the Stake President said it does. 3. I teach people to not obey the Word of Wisdom. First, and foremost, if these were the legitimate concerns, that I in fact teach people these ideas, this could have been remedied without all of this hassle. Because I do believe there is value for people to go to the temple, I believe we should pay an honest tithe to the Lord, and I believe the Word of Wisdom is important; people would be healthier by abiding by it. I do not teach people to not go to the temple. I do not tell people to not pay tithing to the Lord, and I do not encourage others to violate the Word of Wisdom. And I did attempt to make my position clear to the Council. However, that was nearly impossible to do in the short amount of time allotted for my defense. It should be noted that in order for the Stake President to successfully accuse me, it was necessary for him to take my writings out of context and completely ignore the point I was trying to convey. 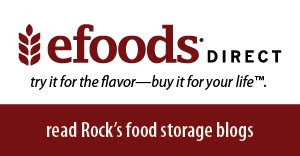 I make no judgment on whether this was intentional or just a misunderstanding. But the fact of the matter is, what he understood from my blog was incorrect. Therefore, the position he advanced at the disciplinary council was incorrect. "By all means, get yourselves sealed in the temple..."
I've seen enough heartache and distress due to families being divided over not being able to attend the wedding of their beloved family members, that it seems reasonable to get married publicly, as the Prophet decreed, and then go to the temple for the sealing ordinance. I am hopeful that my excommunication will be reversed and my views on marriage and family not be infringed upon. Upholding my excommunication on the basis that I encourage people to be married outside the temple first, only to be sealed later will look silly when the Church inevitably changes its policy to differentiate marriage, which now is a legal right for homosexuals, and a sealing ordinance, which is not. If I am excommunicated, will my membership be restored when Church policy changes? I do not Teach that People Should not Obey the Word of Wisdom. Another charge against me was that I encourage people to not obey the Word of Wisdom whereby they become unable to get a temple recommend. "An excess amount of beer can be detrimental to the liver and other parts of the body." Verse seventeen explicitly states that barley is to be used for mild drinks (beer was known as a mild drink in the days of Joseph Smith, as opposed to strong drink—liquor or distilled spirits). Additionally, mild drinks is the modifier for "as also other grain." This means that other grains may be used for mild drinks. And sure enough, beer can be made from wheat, corn, oats, and rye. But personally, I don't like beer. I don't drink it. If anything, I've discouraged people from drinking beer because it tastes terrible. If I erred in this understanding, no attempt was made to correct me. No attempt was made to show me an alternative construction and understanding of the verse. And no superseding revelation was shown to me that this verse is not current Church doctrine. "Oh, [tithing is] very clearly an obligation, make no mistake about that. We are told that if we fail to observe the law of tithing (in this instance, at least, the Lord uses words such as "observe" and "keep" in lieu of obey), we won't have a Zion society. "The Lord is very clear that it is to be strictly kept, at least by those who wish to remain worthy to abide in Zion." Not only do I write that we must pay tithing, but I also encourage people to be compassionate for our less fortunate brothers and sisters. I write that fast offerings and helping the poor in front of our faces tend unfortunately to be an afterthought. We as Saints can do better. I realize that many of my blog posts are long. I'm often surprised people actually read them all the way through. But if I am going to be accused because their contents, my accusers should do the diligence of reading them in their entirety and not misrepresent the ideas I am trying to communicate. No name was brought forward by the court who claimed his or her testimony of the gospel was adversely affected by my writings, though I could have produced thousands who would affirm their testimonies have been strengthened. "Elder Pelatiah Brown, one of the wisest old heads we have around us, and whom I now see before me, has been preaching concerning the beast which was full of eyes before and behind; and for this he was hauled up for trial before the High Council. I sustain the prophet Joseph Smith in this counsel. There is a difference between erring in doctrine and knowingly teaching false doctrine. I do not claim that everything I've ever written is without error. There was no attempt by local leaders to persuade me that my understanding was wrong. I have invited correction. If I am wrong, please show me, and I will correct my blog to remove the error. Furthermore, Christ's instructions on what constitutes His doctrine are clear. He taught the Nephites to have faith, repent, be baptized, and to receive the Holy Ghost, and that this was His Doctrine. The Lord said teaching anything more or less than this cometh of evil. Perhaps the Lord knew that different people learn in different ways and understand things differently. Perhaps he foresaw that if he established a complex theology there might be disputations. But if he kept the doctrine simple, this would allow people to have different points of view without the contention of chasing after heretics. I am hopeful that my excommunication will be reversed as the Church has stated that we are all free to find solutions to our doctrinal questions. "Now there was no law against a man’s belief; for it was strictly contrary to the commands of God that there should be a law which should bring men on to unequal grounds." Alma 30:7. Some may say that my blog recognizes differences between the way I understand the gospel and the way the Church operates today, so why would I even want to be a member of the Church if there are differences? How the institutional Church operates is not my biggest concern. I desire to be a member because I have a love for the Saints. I have fellowshipped with the Saints my entire life, and I will always be a Mormon regardless of the outcome of this proceeding. I love the pure doctrine of Christ. I embraced it so much, that after I received the baptism of fire I decided to dedicate more of my life to the doctrine, studying it out more deeply and more earnestly. I have written what I have learned in order to share with others. I find solace in the fact that many have thanked me and appreciated my work. I love the Lord. He is my Savior. He has helped me through all my battles in life. "[I] take upon [me] the name of [the] Son, and always remember him and keep his commandments which he has given [me]; that [I] may always have his Spirit to be with [me].' Everything depends on that. "And, to be perfectly frank, there have been times when members or leaders in the Church have simply made mistakes. There may have been things said or done that were not in harmony with our values, principles, or doctrine. "There is room for you. "I say, my dear friends, there is yet a place for you here. "Come and add your talents, gifts, and energies to ours. We will all become better as a result. "If these are your desires, then regardless of your circumstances, your personal history, or the strength of your testimony, there is room for you in this Church. Come, join with us! President Uchtdorf, I would like to do just that. I sustain you in this counsel. But I am not the one walking away. While I am aware of the mistakes of the leaders, I hold no ill will against them. I am aware of the historical challenges the church faces and I pray for the church. I am a devout believer in the restored gospel of Jesus Christ and I embrace everything God has ever revealed to the church in these latter days. I ask you, President Uchtdorf, will you cast me out? Is there not room in this church for me?